Pack of 8 bamboo cane connectors designed for 7-14mm dia. bamboo canes, aluminium tubes, or plastic coated steel rods. 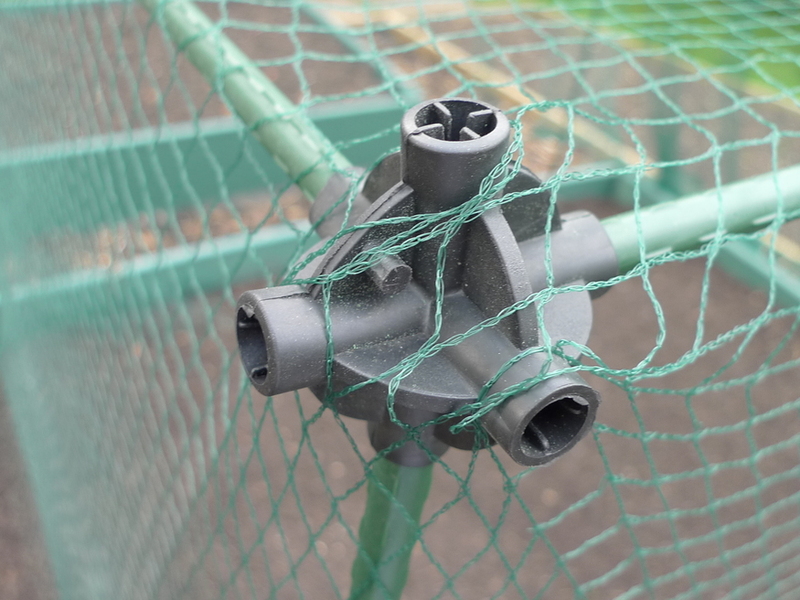 Bamboo cane connectors help you create a low cost "DIY" fruit or veg cage for protecting you allotment, crops, brassica or fruit trees from birds, butterflies or pests. The plastic connects allow up to 6 canes to be connected at once! - ideal for corners or junctions. 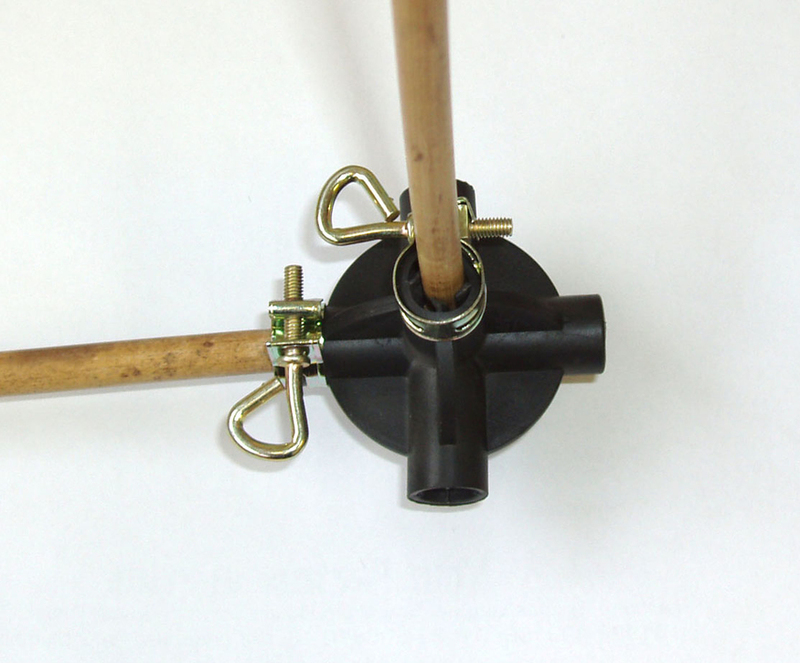 Each bamboo cane connect mini ball is supplied with two metal finger clamps to keep the canes in the connector securely. We also stock a large range of knitted anti-bird netting (20mm mesh holes) and anti-butterfly netting (7mm mesh holes). Various widths and lengths available. Knitted netting is strong and reusable year after year, unlike the cheaper extruded plastic nets. Please browse for further details.